The summer of 2018 – the best weather we’ve had in decades, Football almost came home and we’ve attended a record amount of BBQ’s. If, like us, you’re not ready to say goodbye to summer just yet, we’ve got just the party for you. 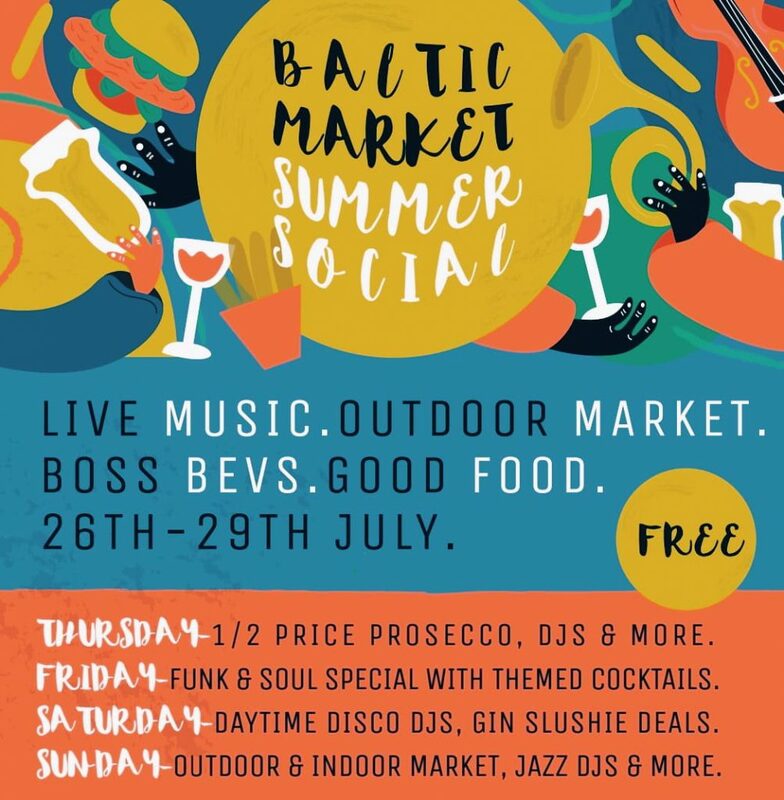 Four days of fun with live music, an outdoor market, boss bevs and the best food all under one roof. Eh, the sun might even make an appearance. Regardless of the weather, we’ll be decorating the whole market in summery vibes. Thursday (26th July) – Thursdays are the new Friday. Well at least they’ll feel like it with half price prosecco, 2-4-1 cocktails, DJs and more all night! Friday (27th July) – Friday will see a Funk & Soul special with bands, DJs and special cocktails. Entry is free all weekend! Kids and dogs are allowed all Thursday and Sunday and until 7pm Friday and Saturday.